Since we arrived on Crete it’s been a non-stop time chronicle of new experiences. Since deciding to make the move here on our first visit in 2014 we’ve known the island holds more great experiences than we can sample in a lifetime. Friends have revealed and are exposing the deep promise of Cretan culture and trends. But only now can we legitimately share them with you. 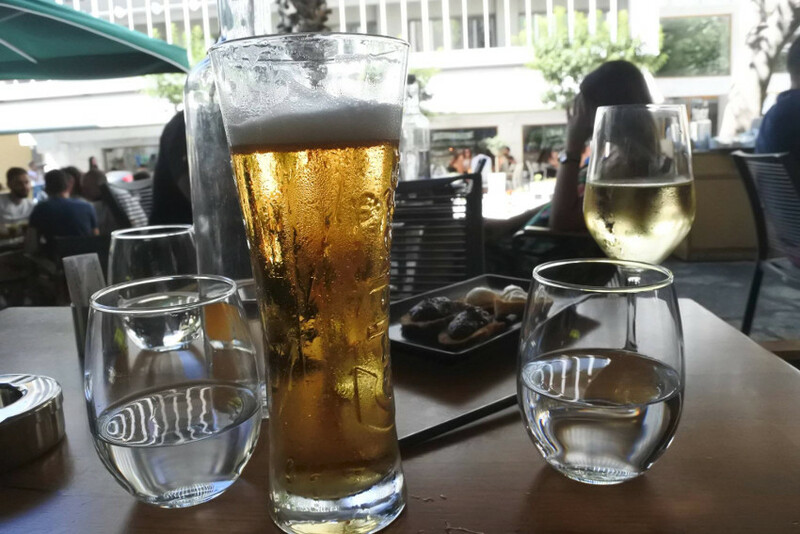 Here’s a restaurant review from our early explorations in the capital of Heraklion. 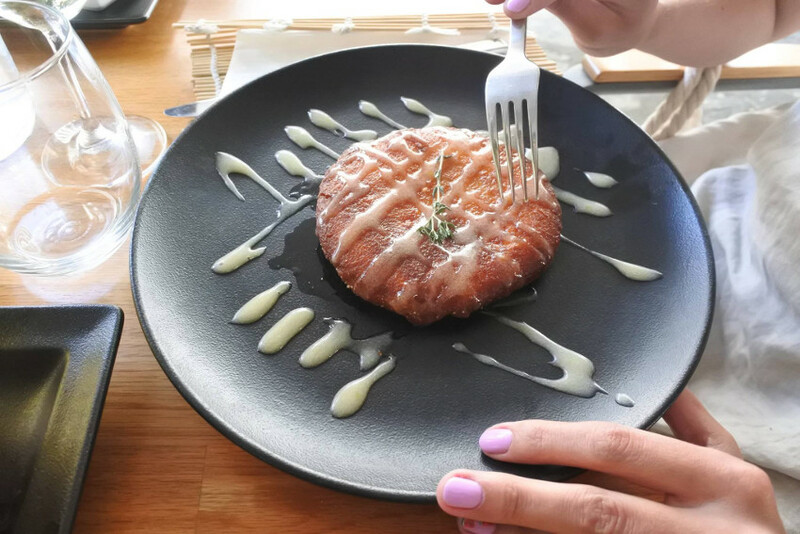 Last week we dined at a number of wonderful restaurants here on Crete, our first breakfast experience after arriving was a sampling of the morning fare at 626 All Day Lounge & City Garden convinced us the chef there truly knows his business. 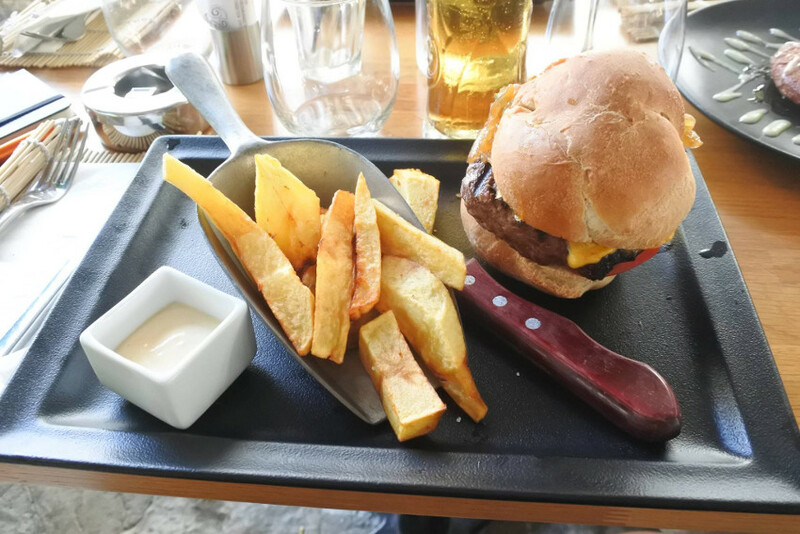 The restaurant at the much publicized Olive Green Hotel at Heraklion’s center is fairly well known to us since we’d covered Olive Green’s opening back in November of 2016. So we knew a bit about the European, Mediterranean, and vegetarian-friendly cuisine, but very little about the actual location and the taste. It’s fair to say were not prepared for the way the President/Director of M.&E. Karataraki S.A., our old friend Lefteris Karatarakis’ vision of a city-break hotel would integrate within the landscape of businesses here. This classy new restaurant literally fuses Greece’s most talked about eco-friendly hotel to one of the nicest green spaces in Heraklion’s center. While the hotel’s high tech design is the talk of the hospitality space in the region, the flawless city garden aspect is just brilliant. 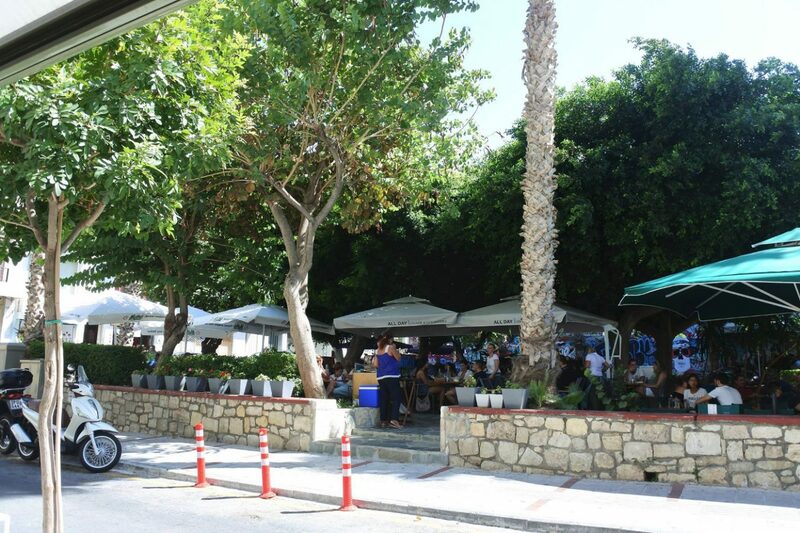 Situated on the corner of Meramvellou and Aretousas streets steps from Heraklion’s pedestrian zone, 626 All Day serves breakfast, lunch, and dinner at the indoor, sidewalk cafe, and in the garden setting across the street from Olive Green. Inside the Olive Green component, a chic bar and contemporary modernness set a positive mood, while the outdoor tables along the street promise expedience with ambiance. 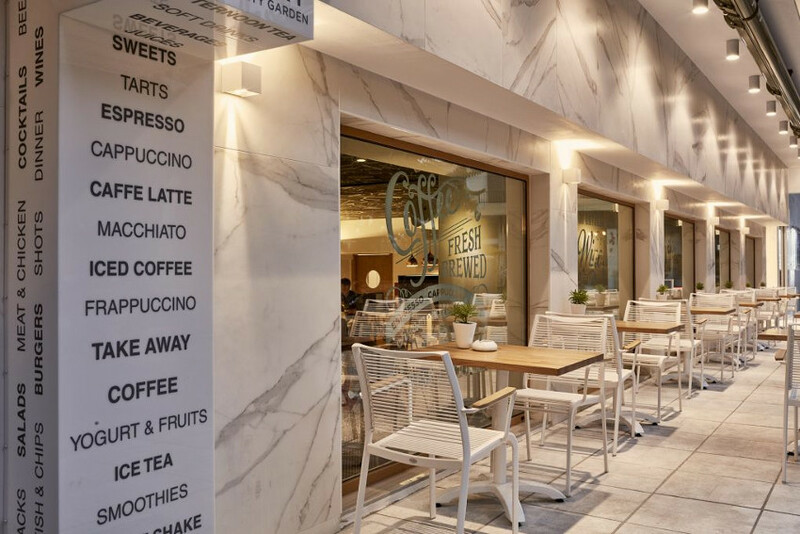 But the crowning jewel of Karatarakis’ new restaurant is the city garden in the square across not so busy Meramvellou street. On the day we had breakfast we had a reserved table, but for the lunch, we did have to wait a few minutes for the best table in the garden. Since our camera battery was door nail dead when we had breakfast at 626, we decided to take lunch a few days later. In a bit of fun on our being seated, I messaged Lefteris I was sampling the chef’s hamburger expertise from an American hamburger eater’s perspective. I’ll admit my poke at Karatarakis was intended to be slightly unfair since I was the meat chef at two of my brother’s restaurants back in the US some years ago. Burgers being in my DNA, I tend to be pretty hard on cooks who haven’t a clue how to cook one, and in Europe there are very few who know the hamburger’s secrets (trust me, very few). Much to my pleasant surprise, Cthe 626 chef is obviously a member of the brotherhood that understands a good burger. The 626 Burger served me was letter perfect, medium to medium rare, and with just enough spice to make it interesting. One HUGE mistake most Europeans make in fashioning hamburgers is to season them as if they were hiding some really bad meat. It’s a little bit funny to me when a wait staff ends up serving a food psycho like me, who is also a travel writer. At least now that I think about it. How can any staff know when a guest is ordering something he or she really loves? I guess it’s all the more interesting that the 626 Burger served me the other day was letter perfect, medium to medium rare, and with just enough spice to make it interesting. One HUGE mistake most Europeans make in fashioning hamburgers is to season them as if they were hiding ruined cow meat. Most chefs in Germany and even France seem determined to either “sauce” or “spice” the meat until it is dead, dead, dead from the camouflage effect of sweet gravy-like concoctions. This is not the case at 626, and my only marginal comment on the burger is that the very nice homemade brioche bun is a bit too tall – it tends to overwhelm the rest of the dish. Also, the fantastic side of hand cut french fries presented in a metal scoop was brilliant – albeit cooking consistency suffered because of the randomness of the cut potato sizes. The 626 Burger gets 9 out of 10 from me, which is perfection in Europe. So, €9.50 is dirt cheap for Americans forced to eat charcoal bricks with sweet and sour sauce over them in central Europe. Why Didn’t I Order the Saganaki? 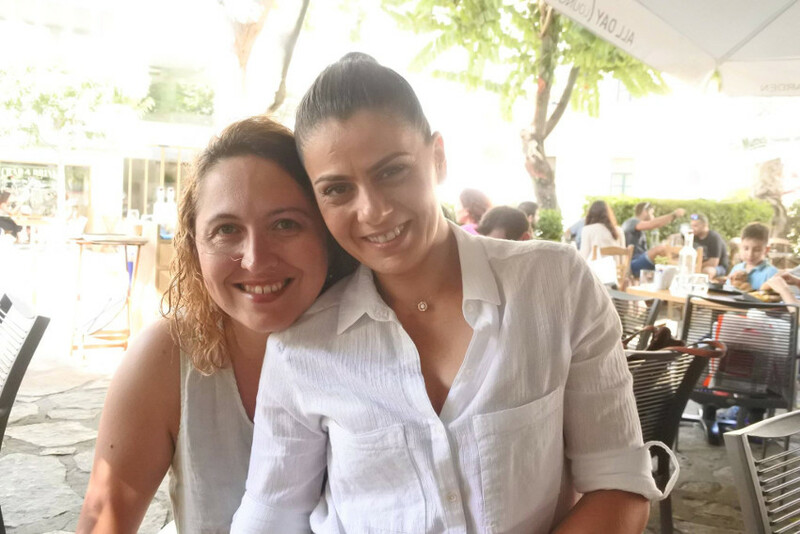 Mihaela and I always sample each other’s food, so when I tasted her “Saganaki ladotyri” I was summarily delighted and despondent at the same time. The lightly pan fried “ladotyri” made from local yellow cheese that is preserved in olive oil, was a crunchy on the outside and yummy on the inside delight. We both commented on her starter as “the best we’ve ever had”, which goes a long way considering we both cook fried cheeses regularly. As you can see in the photos, Gioukas’ presentation and the texture is perfect, which ended up delivering on the taste promise in spades. The €6.50 euro price is not bad either. Right here I’ll have to reveal that my little boy Paul-Jules is different. His preference for grown-up dishes and especially vegetables is rare, I think. 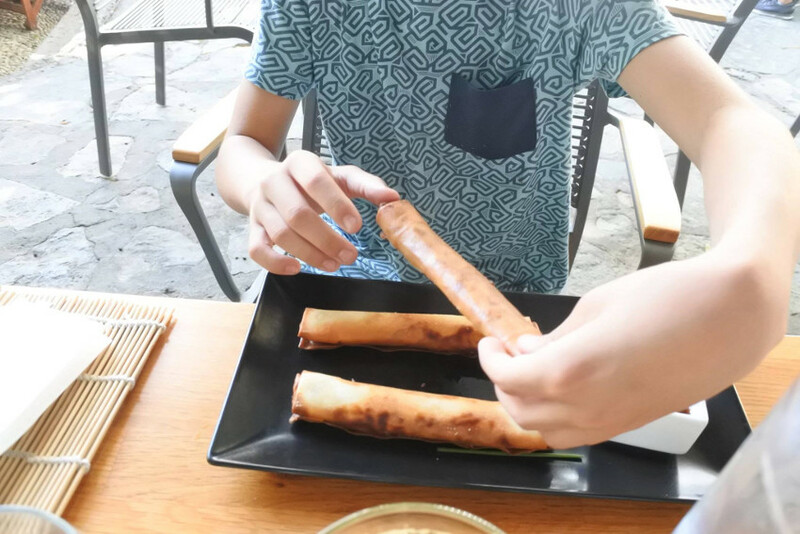 On this day he spotted one of his favorite things in the starter menu at 626 All Day, and spouted his own order to our waitress – “crusty vegetable spring rolls, please”. Yes, the three of us actually practice food sharing on every dining occasion, and this meal was no different. Personally, I am not a huge fan of spring rolls but Paul’s selection was fresh, crips, and very well prepared and presented. I guess the best review from a child is when the food disappears, so Gioukas simple starter gets the big “thumbs up” from Paul too. At €5 euros, the price is good as well. Coming from Germany, the land of the “We’re too good for your money” restaurant experience, it’s a bit of culture shock being here on Crete. the average German hospitality professional acts as if he or she had as soon you leave, rather than force them to be hospitable. And no, I am not being mean here. In Trier, Germany’s oldest city, there is no tip large enough to ensure your glass stays full. On the contrary, getting staff on Crete to accept a tip is a chore sometimes. That said, it is a bit difficult to gauge just how professional and friendly 626 All Day’s staff is what with Crete friendliness abounding. In fairness to my friend Lefteris, and to you the reader, I guess being picky as hell here serves everybody best. So, here goes. 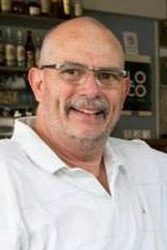 The wait staff at 626 are professional on a par (or above) with any who have served us at half a dozen restaurants across Crete these last days. Their timing, stature, and the level of courtesy being top notch, only the pickiest and most discerning diner would ever notice the slightest “hitch” in delivery or attitude. The head waitress Zoe watches from her podium in the garden like an attentive shepherd over her flock (really), and her staff have only the slightest of flaws in their serving habits. Handing out a menu to one guest and not the other, and a bit of late drink service at our lunch meal were the only noticeable errors. Aside this, I made comment to Mihaela that a minor uniform change toward the semi-formal might serve the restaurant well in the future. Of course this is Crete and not Sparta, and the casual nature of Cretans is charming for sure. So, set amid the service on Crete we are familiar with so far, I have to rate 626 All Day an 8 of 10, which ties a competing restaurant overlooking Koules Fortress. While it is a bit unfair to compare Heraklion or even all Crete restuarants without categorizing them first, any honest list of recommendation for breakfast or lunch should include Olive Green’s restaurant 626 All Day. We’ve so far dined at several fish taverns, at least five or six nice cafes, two notable village restaurants, 626’s sister restaurant Herb’s Garden overlooking Koules, and at another restaurant in the center called Veneto. The bottom line on 626 All Day Lounge & City Garden is pretty simple – it’s among the best in category anywhere we’ve been in Europe. 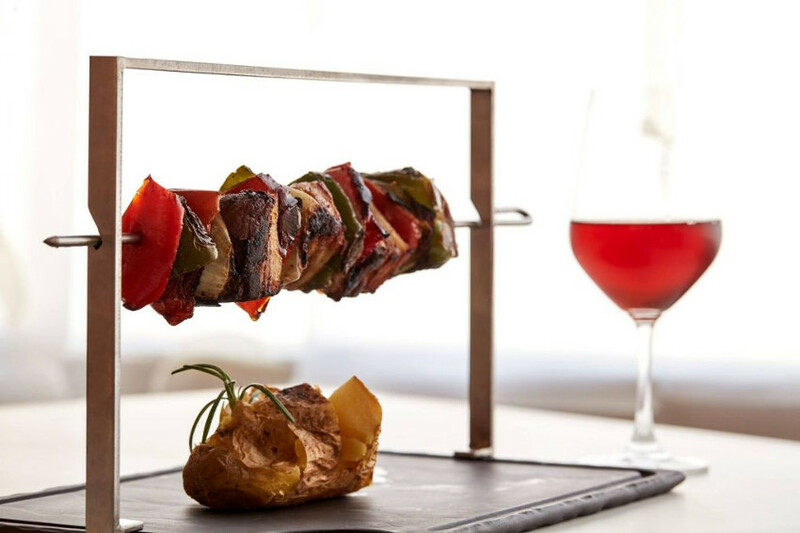 For Crete in particular, where wonderful food is a way of life, the restaurant is a must dine for sure. Cuisine, service, location, and convenience make this place a favorite of our already.